In 1950, Geoffrey Winthrop Young, founder of the BMC, wrote in the foreword of the first Northumberland climbing guide: ‘There is no nobler country than that of Northumberland, as it rolls processionally northward to the Border in great waves of coloured and historic moorland, cresting upon the skyline into sudden and surprising crags, which crown for us the magnificent walking and admirable rock climbs’. So it’s fitting that in the BMC’s 70th anniversary year, we’re holding a festival to celebrate the climbing and walking opportunities of England’s most tranquil place. The festival will be based in Wooler, gateway to the Cheviot Hills and the Northumberland National Park, and a short hop from the magical sandstone crags of Bowden and Kyloe. The festival gets started on Friday evening at the Angel Inn on Wooler High Street, with an initial get-together and a pub quiz with prizes. No doubt plans will be hatched and partners found for the following day’s climbing or walking. If you’re not sure where to go, local climbers and walkers will be on hand to provide advice. On Saturday evening, it’s back to the Angel Inn for a free buffet and a lecture by local lad and BMC CEO Dave Turnbull entitled ‘From Bowden to Patagonia’. Suitably inspired by the lecture, Sunday will be another day to make the most of the nearby walking and climbing. Free camping for BMC and MCofS members is available at Highburn House Country Holiday Park; don’t forget your membership card as proof. Can't make it to Wooler? The BMC is 70 years old in 2014, and as part of our birthday celebrations we are hosting a festival of climbing and walking at Stanage on the weekend of 28-29 June. We’ve arranged to extend the free camping to MCofS members as well as BMC members; don’t forget your membership card as proof. How much does camping cost if you're not a member of the BMC or MCofS? A year’s BMC membership costs just £14.97 when joining by direct debit. 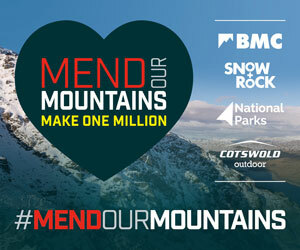 https://www.thebmc.co.uk/join-the-bmc-by-direct-debit-and-save-50?